Here at Allied Welding we pride ourselves on offering a range of quality welding accessories. So we thought we'd showcase some of our Headshield – both conventional and electronic. An extended range can be found at our main website: www.alliedwelding.co.uk and you can always get in touch (details on our website) to order in specialist items that are not in our standard online catalogue. A new hybrid design of flip up welding and cutting helmet. 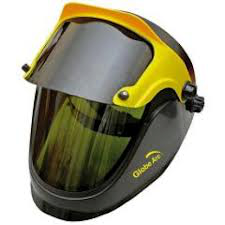 The Globe-Arc is the latest design in flip up welding and grinding helmets. The visor provides effective protection from UV and IR radiation when visor is open and closed, and is available in different shade levels. 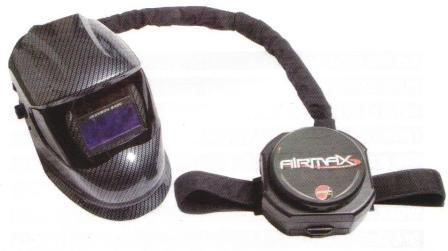 A quality electronic Headshield from Lincoln Electric. Solar-Powered – With user replaceable batteries. Jackson Airmax TL Multiview with airfed system featuring the Multiview 9 – 13 Welding Helmet. Buy these and other Headshields now at www.alliedwelding.co.uk or phone us on 01268 793928 to place your order.